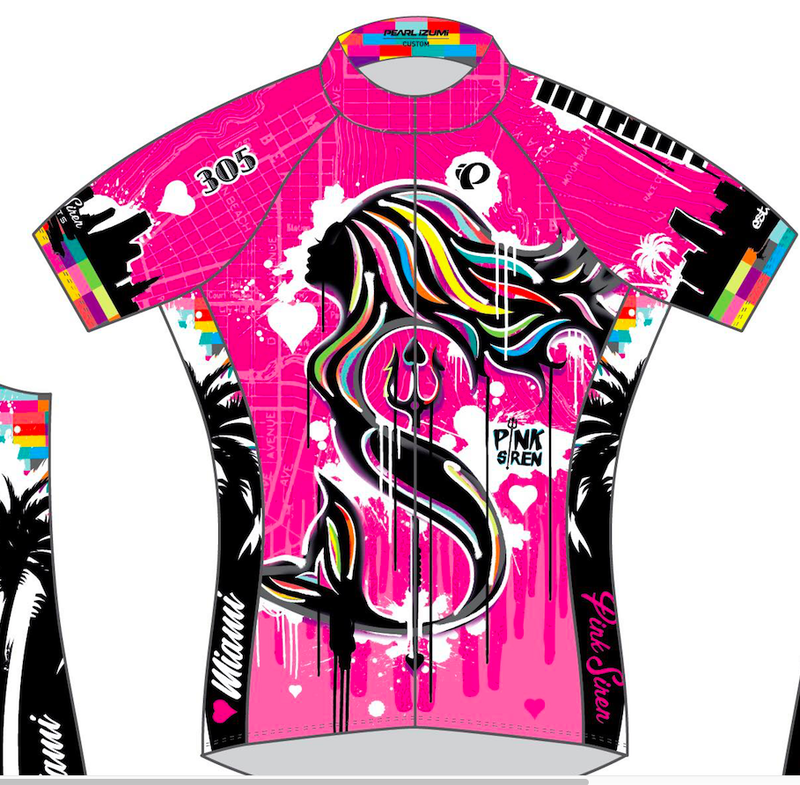 Pink Siren Sport's 2019 Cycling Kit - Miami Inspired! Miami is where Pink Siren Sports began and we are proud to say our membership has expanded coast to coast as well as internationally. Our 2019 Kit Design is dedicated to our AMAZINGLY unique and colorful city of Miami aka 305. 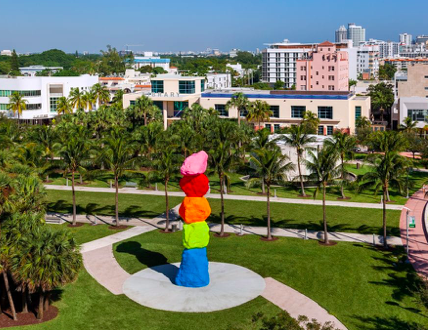 From Little Havana, the Art Deco of Miami Beach, the ever changing Miami City skyline, Wynwood graffiti scene to our beautiful beaches, Miami is host to a diverse and ever growing community. 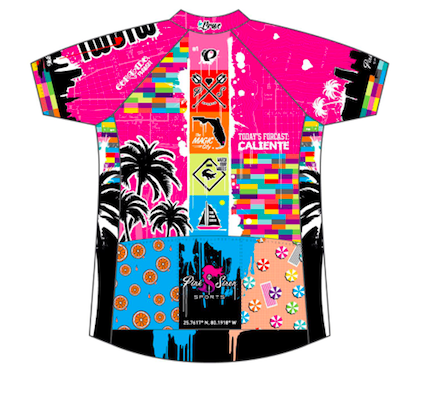 Our Pearl Izumi KIT is a combination of all of the above and so much more! Some highlights of inspiration for the jersey: the large MIAMI on the left sleeve is in a Art Deco font referencing Miami's claim to the World's largest collection of Art Deco architecture, Miami skyline wraps around both sleeves, the color stacking down the back spine is a reference to Ugo Rondinone's sculpture Miami Mountain. Miami Mountain (check out video about the piece https://vimeo.com/201334377) was inspired by the "hoodoo" rock formations that are naturally occurring stacks of rock which form as the slit and sediment at the edge of the plateaus washes away over time, leaving only the densest earth behind. We know our Pink Siren's are the strongest women around - whether racing or beating the odds fighting breast cancer, we have some serious rock solid Hoodoo's in our midst! We hope you love the look and sport our Miami colors with pride, joy and of course fashion. 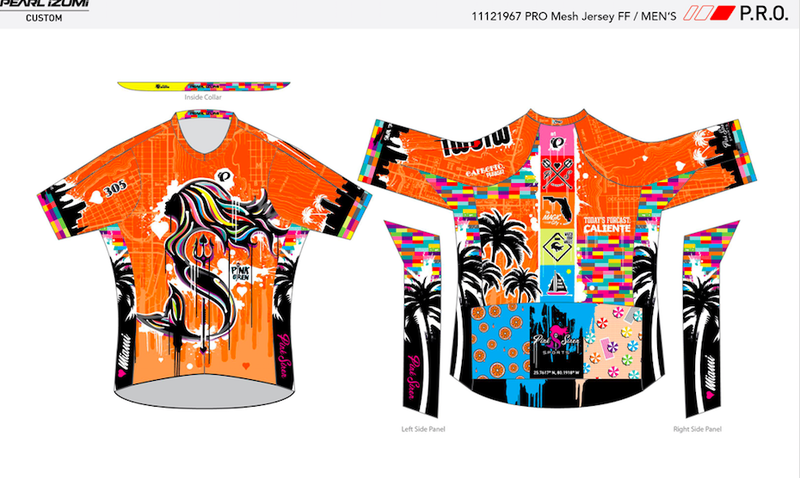 Men's Pearl Izumi Kit also available for purchase in tangerine. Pink Siren Sports Mission:Our mission is to empower women through sport. Pink Sirens #pinkupthevolume on the discussion of women in sport and breast cancer awareness. The Siren's song is one of inclusiveness and empowerment to women of all skill sets.